Capt. Mark Boname is an accomplished worldwide angler and has been fly fishing for 38 years. He owns the Platte River Fly Shop and has appeared on many outdoor programs like ESPN, PBS and Columbia Country. 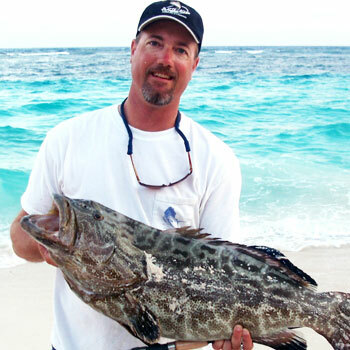 He has hosted many saltwater trips to destinations like Canada, Belize, Baja and Costa Rica. Mark Boname has guided for 20 years on the Gray Reef section of the North Platte River in Wyoming and is one of the most knowledgeable authorities on this tailwater fishery. Listen in and learn the nuances of fly fishing this challenging river. Mark grew up mainly on the east coast both in the New England area and east coast of Florida fishing for stripers, blues, sea trout, redfish, snook, tarpon and large mouth bass. His passion of fishing as young boy influenced his decision to obtain a B.S. degree in fisheries biology which he completed at the University Of Wyoming in 1981. After graduating, he worked in the range department for the U.S. Forest Service for seven years until 1988. He eventually migrated to Casper, Wyoming and started guiding on the North Platte River in his spare time. In 1994, Mark and Ron Dutton opened the Platte River Fly Shop. Mark bought Ron’s share of the shop in 1999 and has been the sole owner since. He has guided now for almost 20 years on the Gray Reef section of the North Platte River and is one of the most knowledgeable authorities on this tail water.